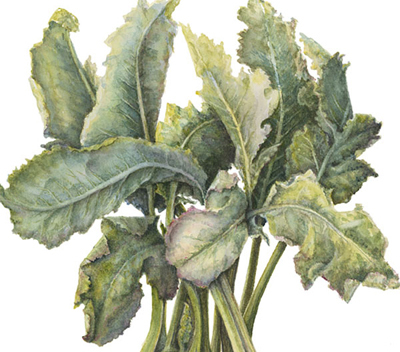 Although she has always enjoyed gardening and studying plants as they moved through their life cycles, Alice began painting watercolor botanicals rather recently. When she moved to San Francisco from Maryland about ten years ago, she began taking classes at the Botanical Garden at Strybing Arboretum in order to learn more about what would grow in her new home. One series of classes on identifying and collecting plants with medicinal properties was followed in the afternoon by drawing those plant specimens under the apt tutelage of Mary L. Harden. 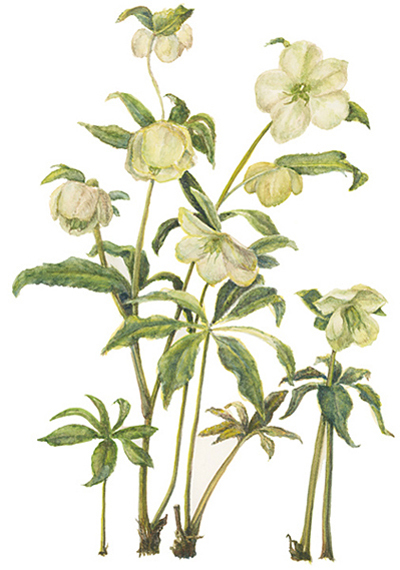 Alice has been drawing and painting ever since, mostly using plants from her own garden as subjects and still with the guidance of Mary L. Harden. She has participated in several group exhibits including two at the Bolinas Gallery, Meyer Lemon Watercolor Exhibit and Fundraiser for the Just One Tree Project, Art in the Grove at the National AIDS Memorial Grove in San Francisco, Medicinal Plants at the UCSF Faculty Alumni House, and Diversity in the Botanical World at the San Francisco Botanical Garden at Strybing Arboretum.